Website visitor statistics, or webstats, are notoriously confusing and complex to understand. If misunderstood you run the risk of believing your website is performing better than it actually is. To get a clear idea of your website’s effectiveness you need at least a grounding in the basic principles of the subject. 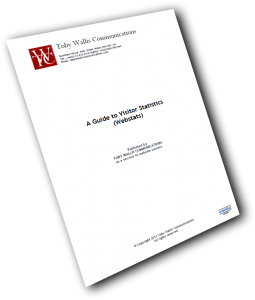 So we have produced a brief Guide to Visitor Statistics to help you on your way. Click here to download your own free personal copy.